No Lawyers - Only Guns and Money: Kimberly? 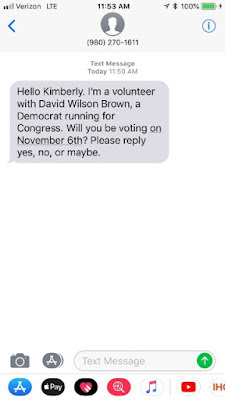 Who Is Kimberly? I just received this text from a number listed as being in Charlotte, North Carolina. Obviously, I'm not Kimberly nor is that the name of anyone in our extended family. Hmm. The next question I had was who is David Wilson Brown and where is he running for Congress. I consider myself politically aware on both local, state, and national politics but the name just didn't ring a bell. Shame on me! Brown is the Democrat nominee for the NC 10th Congressional District which I just happen to live in. He is opposing Rep. Patrick McHenry (R-NC-10) who is currently the Chief Deputy Majority Whip. So I go to his website to check out his position on the issues. It is what one would expect. "Women's Health", pro-abortion and free contraceptives. Taxes, it is our patriotic duty. Religious freedom, for except when it goes against his sacred cows. OK but what about gun rights? 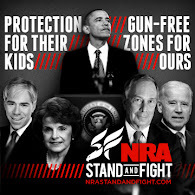 When a politician refers to "gun safety", you know they mean gun control. It sure as hell isn't about the Four Rules or training. The Second Amendment provides the right to bear arms, but some are quick to dismiss the “well-regulated” part. We need common sense gun regulation that enforces current law and adds further safeguards to keep guns out of the wrong hands. Recent polls show 94% of Americans are in favor of background checks for all gun purchases. This needs to happen immediately. The gun show loophole must be closed. We need to encourage responsible gun ownership that comes with safety training. There must be a way that responsible gun owners can continue to own and use their weapons while still maintaining reasonable control on the dissemination of firearms to those who should not have them. Given Brown has raised $40,00 +/- versus McHenry's $2.7 million and has a mere $3,550 cash on hand, his only chance is to have a great grass roots network. As that text indicates, I think that is kind of doubtful. However, when an anti-gunner is figuratively shooting himself in the foot, you don't correct him.